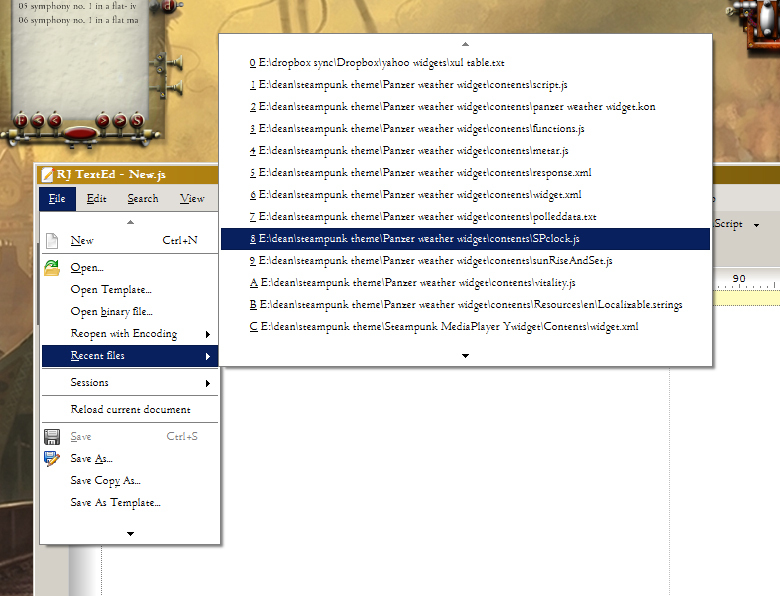 A bit of an obscure bug this one, concerning trying to select a recent file when the RJTextEd window is off screen. When the RJTextEd Window is off the bottom of the screen the recent files list pops upward instead of down as you would normally expect. If you try to select a file in at the top of the list as you slide the mouse toward the top of the list focus is unexpectedly taken by the menu and the list is closed before you have a chance to select a file.